coast and in the North. Garden escapes grow in a wide range of habitats. 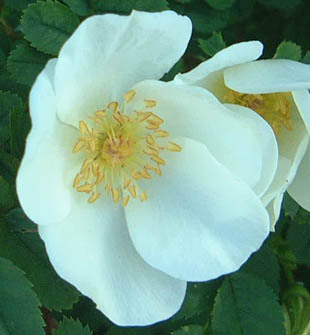 Flowers are white/cream and up to 4cm across. 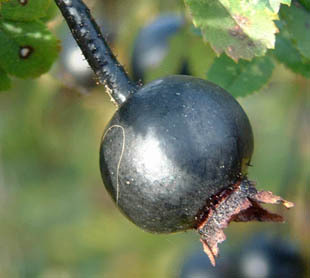 Fruits are purple/black and up to 1.5cm across. 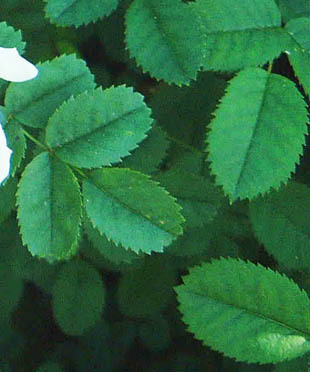 Leaflets are in pairs and serrate. 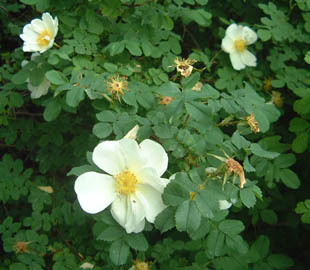 Suckering enables Burnet Rose to form large patches.